Enable your visitors to log in to LiveChat using their Facebook credentials. No need to fill out a pre-chat survey. It will be a simplification not only for clients, who value their time but also for agents as they will see the names and pictures of people they are chatting with. Thanks to this, you will build relations much easier. Visitors will become customers with faces and names, not anonymous shoppers. What’s more, when a customer returns to your shop, they won't have to log in to LiveChat again. The user will be remembered so that they can start chatting with you immediately. From now on, your visitors can use their Facebook accounts to log in to your live chat. There's no need for any advanced configuration or installing any plugins. All that you have to do is to provide your Fanpage address and we will take care of the rest. Troubled customers count on fast answers. Using LiveChat, you can provide efficient support across multiple channels. Just log in to your computer or a mobile device, solve problems on the go and please more customers with fast responses. LiveChat was designed with users in mind, and it’s very intuitive. Your customers won't have the slightest problem with contacting you via chat. You don’t have to worry about your agents as well. They just need to click through the app to master its use. As simple as that! Easily access information about customers available in their social media profiles. Use this data to provide personalized support and make customers happy thanks to well-tailored assitance. 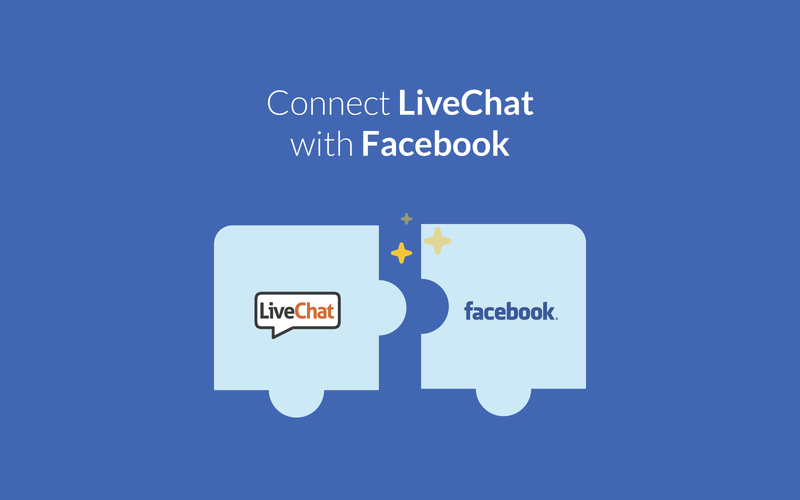 Start using LiveChat with Facebook now!